Enrolling into the military to serve your country is a noble cause. Those who serve are well respected in communities and for the sacrifices that they make, they should be appreciated on a higher scale. Many people who serve in the military do not necessarily have the chance, the time, or the funding to complete their educational goals. That is why, a lot of organizations, both from the government and outside of it dedicate resources to helping currently enrolled military members as well as veterans to get the education that they want. This article will go through the experience of getting a master’s degree if you are a military member or a veteran, as well as military scholarships opportunities which could help you fund it. Why get a Master’s Degree as a military member or veteran? Whether you are a current military member or have completed your mission and are now considered a veteran, an additional educational degree always has more benefits. Those who are currently enrolled in the military or veterans get more financial benefits to pay their degree. 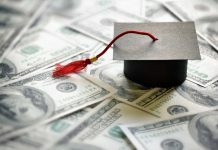 If you apply to governmental tuition assistance and other types of scholarships, you could end up funding all of your graduate school and not have to pay a penny from your pocket. Whether you plan to stay within the military ranks after your service or you want to pursue a career outside of it, a master’s degree opens up more doors. If you want to promote and increase your rank in the military, they are always looking for more educated and specialized people to work with them. If your undergraduate degree has been in English literature and you want to pursue a career in business, getting a master’s degree will allow you to transition and have a higher position. Additionally, if you have always been in the military and are now looking to expand your horizons in other fields, your master’s degree will make it much easier to find a job at any company you want. Besides increasing your chances of being promoted and making it easy to transition into a new career, a master’s degree will bring you a higher salary. 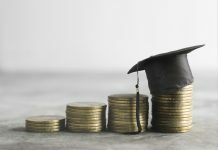 According to the National Center for Education Statistics, those who have a Master’s Degree can earn a median income of $69,530, as opposed to those who only have a Bachelor Degree and have a lower median salary by $15,000. Besides these three main reasons, there are many others for why you should complete your master’s degree, and you can find them in our guide of reasons to go to graduate school. With the advancement of technology, education has also had a major shift in the way it is delivered to students. Nowadays, there are other ways to get a degree besides going to an actual class. 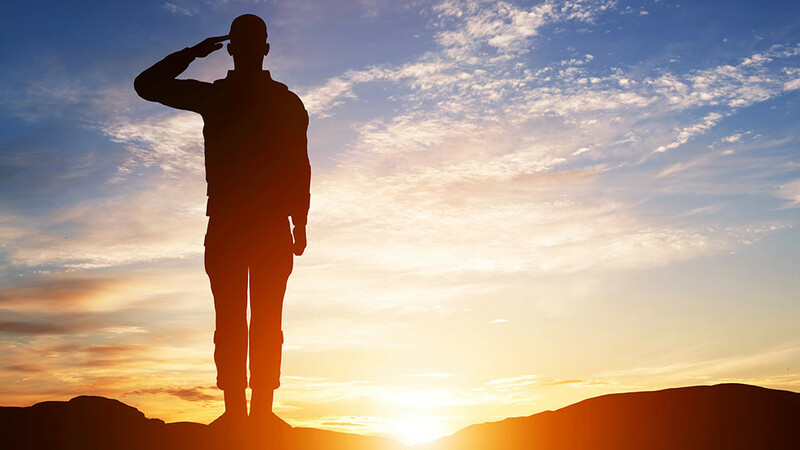 As a military member or veteran, you might have other duties and jobs, so you want to know what your options are as to the method of getting your graduate degree. The traditional classroom experience includes you enrolling into full time or part time classes and attending them. This method works especially well for veterans who are completing their degree so that they can transition to a new career or those who are in between jobs. The upsides are that you will create a great network at the school that you go, as well as have a support system from other military people who are there. If you are still serving in the military or you are a veteran who is working, distance learning is a great way to get your graduate degree. You can complete classes and assignments at your own pace and whenever you have time, so that you do not have to sacrifice your other obligations. Many people are reluctant to try distance learning, but it is a method which has many benefits. eArmyU is an educational portal which offers hundreds of degrees and certificates to those who are on duty and veterans. They have undergraduate and graduate classes, and what’s even better is that the courses are available from various universities, so you could take classes from Ivy League ones. The Navy College Program was developed to offer Navy members the same educational opportunities as those who are stationed on land. The website offers both graduate and undergraduate degrees, and for those who are interested in technical training, they can also increase their knowledge in any area that they want. 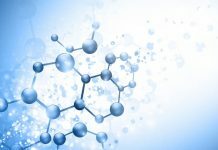 What To Do To Start Your Journey To Grad School? If you have decided that you want to pursue a master’s degree and enroll in a university, there are a few steps you need to follow. These will help you have a better application procedure with all the documents that you need. Since military people are always moving about and may not be stationed in one place for too long, it is difficult to get documents proving you have completed courses. That is why the U.S government and other organizations have developed various programs to help you transfer credit. The program was developed by the U.S Department of Defense and is called the Defense Activity for Non-Traditional Education Support (DANTES). This program allows those who were in the military to take exams and prove that they have completed courses. DSST Exams are tests to prove you have completed courses in math, science, business, humanities, and technology. CLEP Exams are for those who have completed college level courses during their military time. They are available in subjects such as math, business, science, literature, history, social sciences, and world languages. SOC was designed by the Department of Defense to accommodate the constantly moving military people. They can take courses through the SOC from more than 1,700 schools and the credits earned can be transferred to any other university. The SOC program is not only for those in service, but also for their families. So if you have SOC credit, it is best to get documents from them so as to be able to transfer your credits if they apply. The ACE program was formed in partnership with the DANTES program, and allows military people to transfer credit that they have already obtained while enrolled. Through the Joint Services Transcripts, you can transfer your credits to more than 2,400 institutions. The biggest benefit of wanting to get a grad school degree if you are in the military or a veteran is that you can get funding for it. There are various sources from which you can get scholarships, and some of them are listed here. The GI Bill offers tuition assistance based on how long you have served in the military. The Montgomery GI Bill offers you 36 months of assistance which you can apply for up to 10 years after your service has been completed. It offers scholarships for tuition, housing, fees, and books. With this scholarship, you get a monthly payment which covers your costs. This GI Bill offers benefits to those who are on active duty or veterans discharged honorably who have served after 9/11 for at least 90 days. The GI Bill offers 36 months of assistance and you can apply up to 15 years after you have completed your service. It covers 100% of tuition and fees if you have served 3 or more years. This program is part of the 9/11 GI Bill covering costs of private, out of state, or international universities. This program will cover the National Maximum of your tuition, which changes each year and for the 2016/17 academic year, it was $21,970.46. Depending on which branch you are, you may get different benefits which only cover your tuition. The TA does not cover housing and books, but you can use your GI Bill benefits and combine them with this tuition to cover your entire education. Women who have served or are currently serving in the U.S military can apply to get up to $2,500 for their tuition fees. This applies to both those who are applying for undergraduate or graduate school, and they must prove their military status. This scholarship is available to those who have been on duty for 3 or more years. It covers either tuition fees of up to $5,000 or loan repayment benefits of up to $18,000. Military members or veterans who want to pursue a career in counseling can take advantage of this scholarship. It offers up to $3,000 in tuition assistance to attend graduate school in an accredited institution. This scholarship requires you to prove military status and financial need. Those who were in the military after November of 1989, completed at least 3 years of service and are between 17 and 35 years old qualify for this scholarship. The benefits are tuition coverage and the amount depends on how long your service was. This scholarship is awarded in honor of NFL star, Pat Tillman who served after the 9/11 attacks. It offers tuition assistance to active members of the military or veterans in all branches of the military for them to complete undergraduate, graduate, or post-graduate degrees. Those who are called on active duty when there is a national emergency or war qualify for this scholarship. Those who have also served for at least 90 days after 9/11 may also qualify. The scholarship covers only tuition and fees of up to $1,318, but may be higher depending on how long you have served. If your field of study is within nursing or nurse anesthesia, then this scholarship is available for you. You must prove military status of either in current service or as a veteran to get up to $3,000 in funding. To get this scholarship though, you must not be receiving any benefits from the GI Bill. Those who were in the Army, Air Force, or Navy ROTC qualify for this scholarship. It covers 70% to 100% of the tuition and fees for your education, but after you get your diploma, you must complete required service and training. To be eligible for this scholarship, you must be a military member and also member of this association. Through proving your military status, you can get from $1,000 to $4,000 to pay for your tuition and fees. Those who are in active duty or veterans can apply for this scholarship if their field of study is to become a physician’s assistant. They must prove military status and financial need to get up to $1,000 for tuition. Besides funding for yourself there are also military spouse scholarships and scholarships for military dependents. These are available for your children or grandchildren and your spouse. If your spouse or children receive benefits, they will get them for 45 months. The children must be between 18 and 26 years old, while the benefits for the spouse if the military member has died while serving are for 10 years. Spouses of those who are on active duty or veterans can get up to $5,000 in scholarship to get an undergraduate, graduate, or vocational training degree. They must provide military status of their spouses and a valid marriage certificate. The children and grandchildren of members of the Fleet Reserve Association can get up to $5,000 in tuition fees to complete their undergraduate or graduate degrees. They must enroll in an accredited U.S institution and prove their relationship to the military person. The spouses, children, and grandchildren of active duty members or veterans can get up to $4,000 from this scholarship for completing their education. They must prove military status and relationship to the military person, be U.S citizens, and have financial need. Children of members of the military who were killed or disabled on duty can get up to $25,000 assistance for their education. They must prove their relationship to the military person and enroll in an accredited U.S institution. The spouse and children of members of the Navy who had the title of Chief, Senior Chief, or Master Chief Petty Officer are eligible for this scholarship. The organization offers 60 scholarships of $2,000 for tuition and fees. The applicants must be enrolled in a U.S institution and submit three letters of recommendation. Unmarried children of military people and veterans can get up to $2,000 for their tuition fees. They must be under 23 years old, enroll in an accredited U.S institution, and prove their relationship to the military person. The children and stepchildren of members of the Navy’s Submarine Force who have served for at least 8 years are eligible for this scholarship. They must be 24 years old and unmarried to get one of the 115 scholarships of $3,400 for tuition and fees. Children and grandchildren of soldiers who have served in the 1st Infantry Division of the Army are eligible to get up to $10,000 for their tuition. The award is split in annual installments and depends on the length of the program. Children of active duty military members can get up to $30,000 for scholarships by proving relationship to the military person, financial need, and enrollment in an accredited U.S institution.